Imagine if you could protect your child from being harmed by third parties for the rest of their life! And in some cases, even protect them from themselves if necessary? While no one wants to "control" their child from the grave, many of us parents want to "protect" our children from ill intentioned people who do not have their best interests at heart. In California especially, we have way to many unfair lawsuits, failed marriages, addictions, and predators that can financially wipe out our children. No one wants to leave their hard earned money to their children one day, only to have it taken from them. Protects From Outside Parties: The L.A.P.T protects the money you leave behind for your children from being taken by lawsuits, creditors, predators, and divorce. Provides Responsible Support: The L.A.P.T. provides for your child's health, maintenance, education, and support needs but also offers an option to encourage your child to have a strong work ethic, and not become a "trust fund" baby dependent on just the trust. 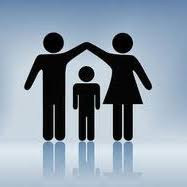 Provides Control For Child: The L.A.P.T allows your child to manage the trust themselves upon turning a certain age, as chosen by the parents (commonly age 35), however there are options to block a child from managing their own trust if they develop an addiction or have other situations that put their judgment at risk. Keeps the Money in the Family: The L.A.P.T. allows you to ensure that the money left in the L.A.P.T. at the end of your child's lifetime will continue down the family line, but does allow you the option to allow your child to leave it outside the family if you want them to have that option. If you want to learn more about whether the L.A.P.T. makes sense for your children, talk with us today about how it works and how we can customize it to fit perfectly for your family's needs. Call your California family trust lawyers in Newport Beach at the Meier Law Firm at (949)-718-0420 to learn more.